Brian Eno was the founding member of Roxy music along with Bryan Ferry. After two successful albums Eno started to get more praise which rubbed Ferry the wrong way. Eno quickly left to first work on a couple of collaborations and to then form his own work. His first two releases with “Here Come the Warm Jets” and “Taking Tiger Mountain (By Strategy)” were both released in 1974. It was not long after this that Eno was involved in a serious car accident, which required a stint in hospital as he healed. Bedridden for two months it was here that Eno started to listen to the sounds differently as he lay in bed. It would go on to form the basis of the ambient sound he would first explore here on “Another Green World” and albums that followed. “Another Green World” is definitely a pop album, but nothing like anything anyone had heard at that point, or has yet since. It’s a very hard album to both categorise and describe. There is a great element of exploration on this album. You can hear Eno and his bevy of talent musician friends chasing the sounds down as they wrangle them into some resemblance of a song. The tracks with Eno’s monotone voice and nonsensical lyrics, that on repeated listens start to make absolute sense, and the lush soundscapes form little scenes that one can escape into. About five or six years ago someone put the song “The Big Ship” on a mix tape for me. I first heard it on headphones whilst on a train and was promptly brought to tears by the sheer beauty within it. It has gone on to cause many more awkward crying moments on public transport whenever it takes me off guard and comes up on shuffle on my ipod. It is by far the most beautiful piece of music I’ve ever heard. After I first heard the track I promptly bought “Another Green World”, but until now I had been too scared to listen to it. What it didn’t meet up to the expectations formed with ‘The Big Ship’? What if that song was the only moment of brilliance within a dull album? It was with great trepidation that I put on “Another Green World” for the first time this week. First play through I knew it was a good album. I described it as an utterly bizarre and wonderful collection of sounds, but at this point I still wasn’t sure how it worked as a whole as it felt quite fractured. Within three listens this sense of dissonance soon faded away as the album revealed itself and its nuances. I feel like a new world of music was opened up to me this week. This album, and the other works of Eno’s that I subsequently explored this week, has not only helped me to better understand albums I already love but it has opened up my mind to listen to and appreciate music in a whole new light. Not only is ‘The Big Ship’ still a song that can fill me with so much joy and hope, I now feel the same way about “Another Green World”. 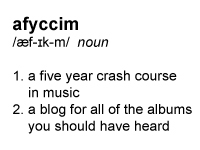 This is by far my favourite album thus far for afyccim. 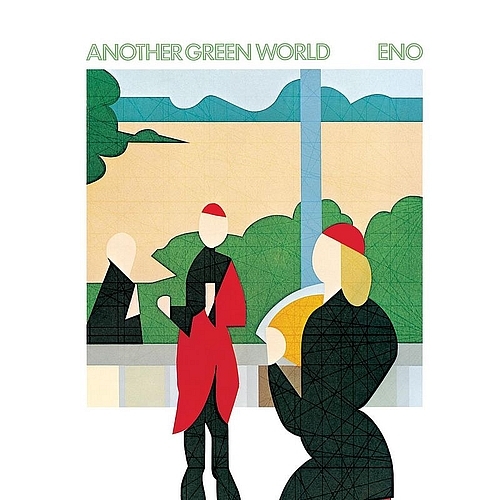 I’m glad I waited to listen to it, as the albums we have listened to thus far in this project have helped inform my understanding of what Eno actually accomplished on “Another Green World”. Music is most important when it helps us to connect to one another and the world around us. I feel that connection listening to “Another Green World” knowing that there are hundreds of thousands of people out there who have that same experience when they listen to it. This week was one that saw me personally face a lot of emotional challenges, as life is often wont to do. “Another Green World” was the perfect balm. I am forever indebted. Oh God this was a tough review to write. Which is unusual for me, because usually if I enjoy an album, it’s a piece of cake. But not this one. Of course not this one. Why would any sense of normalcy apply to Brian Eno? The problem here, for me anyway, lies in the fact that I love the hell out of “Another Green World”, I’m just not sure why. I guess a lot of it has to do with the idea that just because something sounds like a guitar or a piano or strings, with Eno it doesn’t always mean it is. He has such a penchant for feeding sounds through, around and into things that you can’t ever be sure what’s what. What you do know though, is that whoever is playing whatever instrument they’re playing is very, very good at it. Which starts me on the bass. Oh my, the bass! ‘Sky Saw’ does things to me that no song probably should, but that bass (played by Brand X bassist Percy Jones) blows my mind. The whole song is an amazing cacophony of noise, and it almost overwhelms me with excitement. 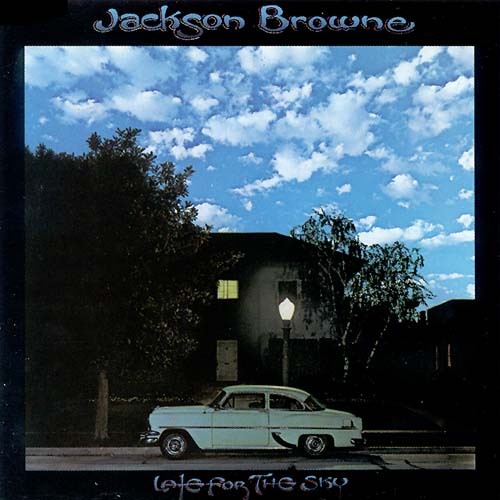 ‘Over Fire Island’ is just as good, if not better, because it’s 100% instrumental. I think the vocals in the few tracks that have them takes away from the musicality of the piece. ‘Over Fire Island’ also features a neat little cameo from Phil Collins. He’s not the only big guest to feature on “Another Green World”. King Crimson’s Robert Fripp plays a lightning guitar solo in ‘St Elmo’s Fire’. “Another Green World” has 14 songs, which I’d gladly delve into, alas, you would all get bored and I’ve got word limits. So I’ll finish by saying thank you, Brian Eno. This album is a masterpiece. It’s hard to write a review about an album that works in the genre of ambient pop. Ambient music generally just makes you switch off, space out, or reflect on things, so it’s hard to listen to Brian Eno and actually concentrate on the musical elements of his work. I guess that was the aim of the game when he was writing this music; to inspire, to draw emotion. Some of the songs on this album are completely timeless; take ‘The Big Ship’, for example. I heard this song for the first time 3 years ago and loved it instantly. I actually didn’t even realise that it was released on this album, let alone in the 70’s! “Another Green World” as a whole has a very ethereal feel to it, with the instrumental tracks providing a peaceful interlude to the more lyrical tracks. Listening to this album I was reminded for some reason of Genesis and some of the work of Peter Gabriel, which is ironic, because Phil Collins actually did some guest work on this album. I prefer the instrumental work on this album to the songs with vocal. I am a sucker for a good instrumental, such as the aptly named ‘Becalmed’. Such a beautiful song with a vibrant and peaceful fluidity to it. Some of the work on this album reminds me of one of my favourite ambient pop/rock band, Iceland’s Sigur Ros. Eno experiments with sounds, timbres, structure and dissonance in the same way that Sigur Ros have done, and his instrumental songs, with their sparse texture and minimalist approach, parallel those of the Icelandic musicians. As the forefather of ambient pop, I think I owe Brian Eno a big thank you. His influence has helped to create and inspire the sounds some of the bands that I know I just couldn’t live without. Brian Eno is one of those figures in the music industry whose legacy and influence continues to grow, and his production techniques have changed the soundscapes of rock legends such as Devo, Talking Heads, U2 and David Bowie. Aside from his songs ‘Deep Blue Day’ and ‘Needles In The Camel’s Eye’, which were used in the films Trainspotting and Velvet Goldmine respectively (Ewan, anybody? ), I knew nothing of his solo work. I was not sure what I was in for when the time came to listen to “Another Green World”. While reading up on the album, I became intrigued by the frequent use of the genre term ‘ambient’. The first thing that struck me was THAT synthesiser sound which dominates opening track ‘Sky Saw’. Having heard Bowie’s Berlin trilogy years earlier, I suddenly understood how vital Eno’s production was to those albums. How amazing is Percy Jones’ fretless bass work on that track? It’s cool hearing Robert Fripp and Phil Collins play on a couple of songs as well. I was surprised to hear vocals on a few tracks, but Eno’s fairly monotone delivery suits the material as the music seems to emote without needing words. Instrumental tracks like ‘Becalmed’ and ‘The Big Ship’ are stirring without relying on lyrics to move the listener. I don’t want to say too much about this record, because I think the less you know the more you’ll enjoy it. I highly recommend using headphones at least once, because you get to appreciate the layers of instrumentation and how certain parts are panned. While ‘ambient’ may seem an apt description for some songs, this album still contains moments of pop, rock and even funk. I found this very easy to listen to, and I might even delve into Eno’s catalog a bit more in the future.